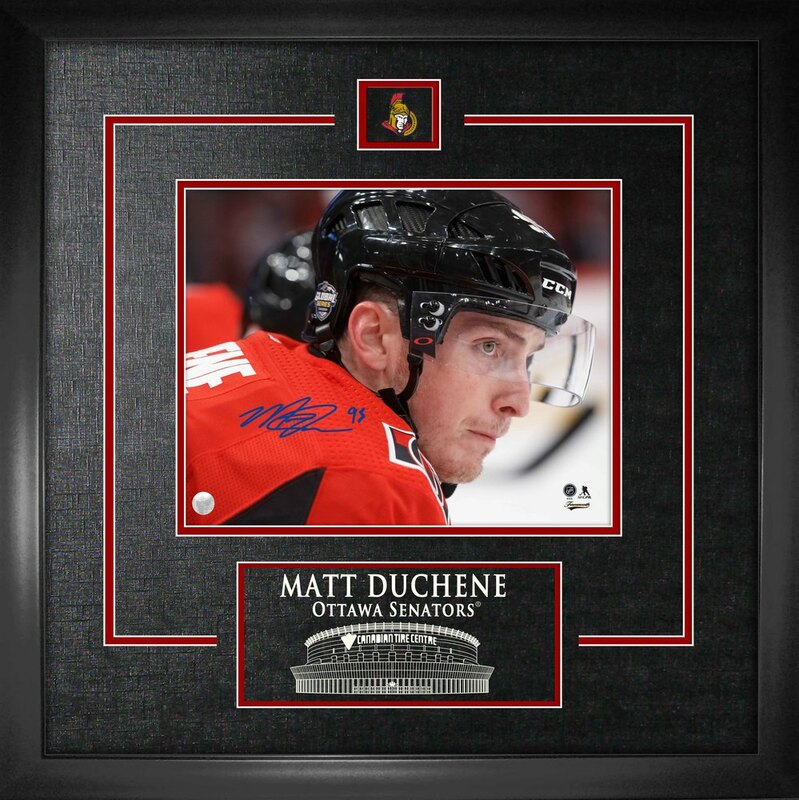 This frame includes an 8x10" action shot that was hand signed by Ottawa Senators' star forward, Matt Duchene. The image comes set in Frameworth's renowned framing and black matting with a decorative v-groove, as well as a team collector pin and a laser etching of the player name and arena. Frameworth Sports Marketing is the official autograph provider of Matt Duchene memorabilia. The item comes with a hologram and certificate of authenticity and is officially licensed by the NHL & NHLPA. FINISHED SIZE: 18X22"